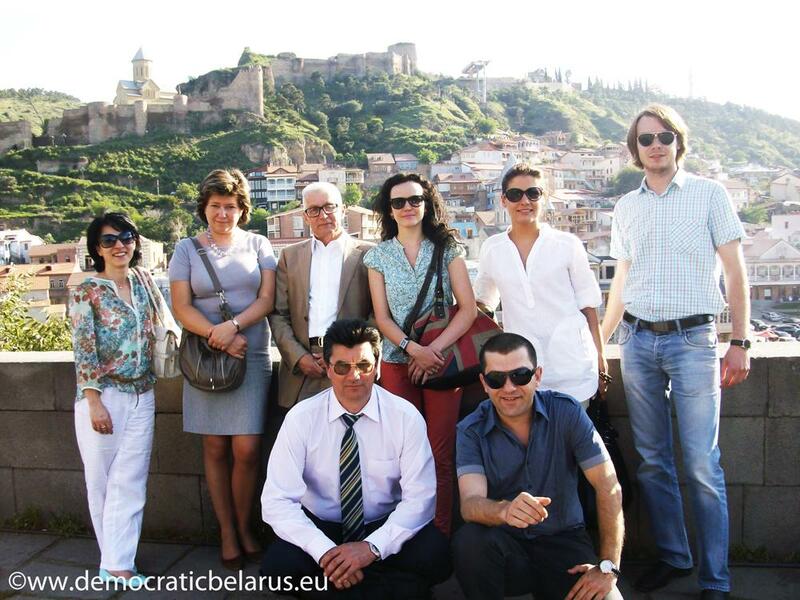 On 3-6 June, a group of Belarusian experts in higher education came to Tbilisi (Georgia), on a three day study visit, which was a part of the project ‘EU and Belarus: Experience Exchange’, organised by the Office for a Democratic Belarus. Georgia is considered one of the most successful examples among the Eastern Partnership countries that are currently working on reforming their higher education system. This was the reason why authors of the Project chose Georgia as a focus of their study. The aim of the visit was to show Belarusian experts how Bologna System can be implemented in a Post-Soviet country; and what benefits and challenges this shift may bring about. The project organisers scheduled meetings in three leading Georgian Universities: Tbilisi State University, which was established after Georgia signed up for Bologna Process, Iliya State University, and a private Caucasus University. Another meeting, with members of the Georgian Institute of Public Relations, was scheduled to leverage the picture of what is going on in higher education in Georgia with voices from less independent evaluators. The questions of teaching quality control and domestic standardisation were most discussed during the meetings at Iliya and Caucasus Universities. Belarusian experts had an opportunity to meet with the former Director of the Education Quality Control Center, Nino Chubidze, who shared her experience in the field, as well as spoke about the stages of the country’s joining Bologna Process. Besides, our experts had an excellent opportunity to network with the administration of the three Universities, including the President of Tbilisi State University, and some leading Professors from the schools. Among the successful arrangements made during the visit was an agreement to publish articles written by Belarusian students in Georgian Academic Journals. Considering that some of the group members had already participated in some other similar projects organised by the ODB, they could compare how Bologna principles were implemented in the countries of the so called Old World, such as Belgium and the Netherlands, vs. to the way they worked in the Post-Soviet societies. One of the expected outcomes of the project would be its usefulness during the development of the recommendations for the reform of the Belarusian higher education System. The study visit was organised by the Office for a Democratic Belarus (Brussels, Belgium), with technical and information support provided by the ‘Office of the European Expertise and Communications’ in the framework of the ‘EU and Belarus: Experience Exchange’ Project, implemented in partnership with Belarusian Institute of Strategic Studies and the Republican Association ‘Belarusian Association of Transport Workers’. Office for a Democratic Belarus would like to thank all their Project partners, as well as their Georgian colleagues, who made this visit possible. The preceding visit of Belarusian experts to Brussels. Other study visits for Belarusian specialists organised by the ODB.